What if, as a child, you weren’t able to play outside? What happens when technology trumps trees? What do we do with unused spaces and objects? What does play in the 21st century really look like? The creators of the best 12 ideas will be invited to attend the ELEVATE Innovation Camp at the Yamaguchi Center for Arts and Media [YCAM], Japan in late February 2015 to further brainstorm, collaborate and prepare a final project submission to potentially secure a share of SGD$50,000 Challenge funding to realise the idea or invest in further professional development. You harbour a keenness to share widely, such as on social media and interact with others both in person and online. If this sounds like you, and you are over 21 years old, you are eligible to apply for the Challenge! STEP 2:Make a short video (2-minutes max. ), in which you introduce yourself and outline your Challenge idea. Don’t worry about making it professional, we just want to see who you are and how passionate you are about your proposal. Upload your video to Youtube as a private video (not viewable by the public). We ask that you cut and paste the link into the application form. Please ensure it isn’t password protected. STEP 3: Fill in the online application form, remembering to paste in the link to your video. Applications will be shortlisted in the country of entry by a split assessment team of the British Council and programme partners. The shortlisted entries will be required to do a Skype Interview of 30 minutes with their local judges, before potentially being selected for the regional panel. The final shortlist of entries will then be submitted to the formal judging panel made up of regional partners from Asia and the UK, external education and play experts and a British Council staff member. The final 12 Fellows will be notified two weeks after the ideas have been submitted. The Fellows will travel to the Camp from 23 February-2 March 2015, after which they will have one month to resubmit their ideas. Challenge funding will then be awarded to the leading ideas and innovators, most able to benefit from investment. The Lien Foundation is a philanthropic organisation based in Singapore. The Lien Foundation values institutional capacity building and is inspired by innovation, collaboration and new solutions. The Foundation’s key areas of focus are early childhood education, eldercare and environmental sustainability in water and sanitation. The Yamaguchi Center for Arts and Media [YCAM] is a platform for sharing computer- and IT-based media technology. YCAM hosts a variety of performances, exhibitions, film screenings, sound-related events, workshops and lectures. YCAM’s ‘Interlab’ comprises a group of experts in adapting the latest in media technologies to creative endeavours in lighting, sound, visual, stage machinery, programming, device production, network technology, space design, graphic design, archiving, and production management. YCAM Interlab collaborates with visiting artists and outside engineers, as well as other cultural facilities and research institutions. BT Global Services is a networked IT Services business that operates globally and delivers locally to help its customers succeed BT Australasia has a unique breadth of scope, reach and capability, bringing together communications and networked IT products and services securely and efficiently. BCCF is a forum and a hub for diverse creative communities in Bandung. Since its establishment in 2008, BCCF has conducted more than 250 programmes that respond to urban issues, such as public space, heritage sites and buildings, green open space, urban mobility, community entrepreneurship and creative education. ICCE delivers enterprise, cultural management and policy education to the creative and cultural sectors, and supports research in to new approaches to business, financial models and management in the Creative Economy. It delivers a range of academic programmes and presents activities and events to promote an environment in which creative and cultural entrepreneurship can flourish. The Creative Lab is a loose team of creators, developers and film-makers around the world who examine the technology that surrounds us and explore the potential of digital tools. Our mission is "to remind the world what it is that they love about Google”. The Collective is a monthly 176-page lifestyle magazine that brings together entrepreneurial and creative minds from across the globe. 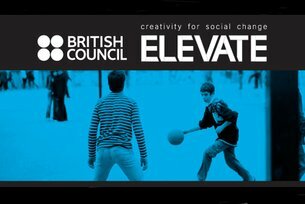 In more than 30 countries worldwide – from Turkey to Norway, The Collective is a universal movement. Through personal stories, in-depth interviews, investigative features and practical tips, The Collective aims to inspire and inform.